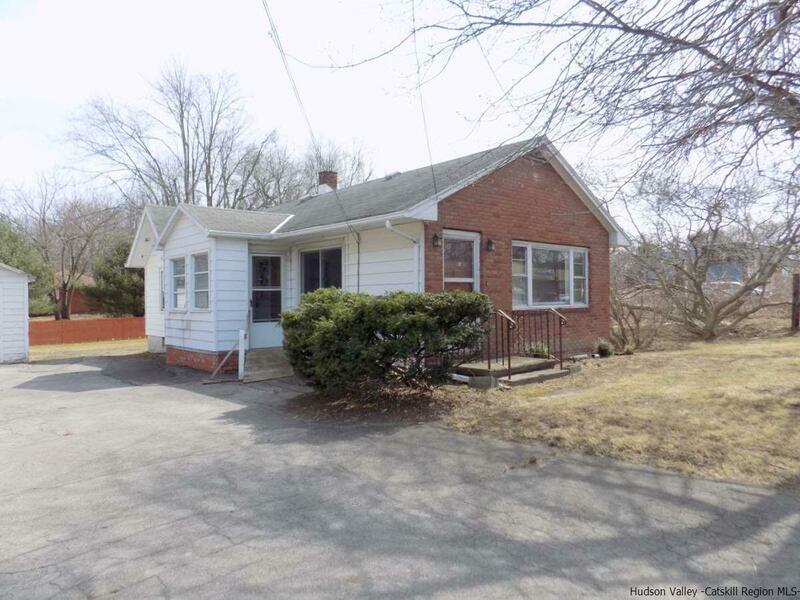 Located just South of the Village of Saugerties in Barclay Heights on Route 9W, this 3 bedroom one bath brick front ranch style home is zoned General Business allowing for a variety of uses. There is good parking behind the building and a detached one car garage. Municipal water and sewer! Needs a thorough renovation, but much potential. Would also make a nice single family rental. Reasonably priced and easy to show!